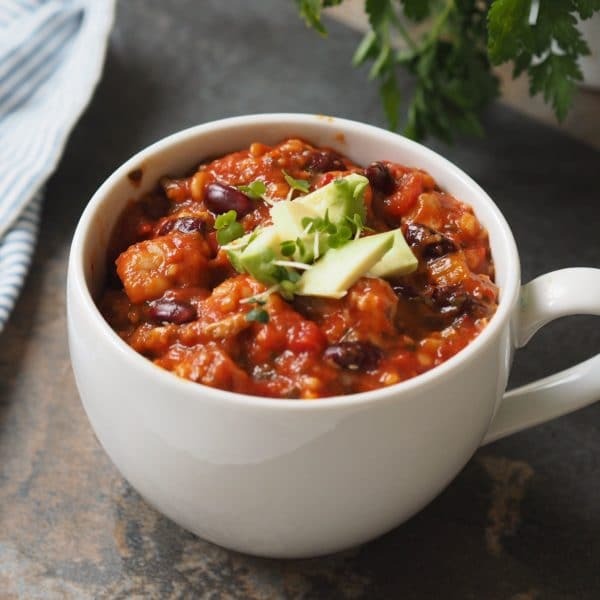 Try our Vegan Chilli Recipe that is delicious, warming and goes with everything! In a large heat the olive oil over medium heat. Add the chopped onion, bell pepper, carrot, celery and pinch of salt. Stir to combine and then cook, stirring occasionally, until the vegetables are tender, about 4-6 minutes. Garnish with avocado and fresh parsley (optional).